You’ll fall in love with the culture at Grand Canyon University. We love our work and the people we work with. The role our staff plays in creating a great student experience matters to us tremendously. Explore our staff jobs today and make GCU your next career move. Our incredibly diverse and dynamic collection of jobs help support our campus and students. It takes many talented individuals with a variety of skills to keep our university running smoothly each and every day. These positions range from entry-level jobs to management positions and each one is as important as the next. From our administrative support personnel to our Lope Pro Shop workers, every employee is dedicated to doing their part to best serve our students and community and support our Christian values. 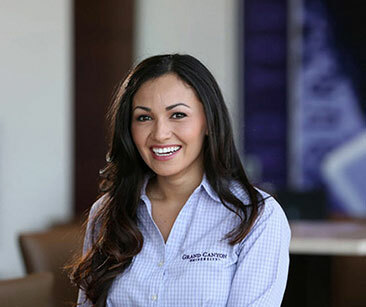 GCU is proud to partner with Grand Canyon Education, Inc. to fill roles such as admissions/enrollment counselors, marketing, accounting, information technology, human resources and more. If you’re looking for a fulfilling role in a company that is educational-focused, you may want to view available jobs at GCE.